Some random and unstructured reflections on Bourdieu. 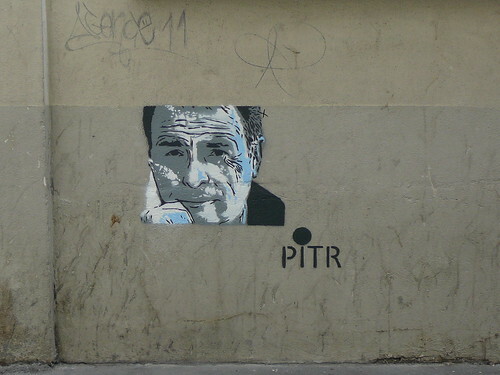 Using Mark Murphy’s (ed) indispensable Social Theory and Education Research (2013) here are some random and unstructured reflections on Bourdieu. Bourdieu’s philosophy is relational – rejecting existentialism: to exist is to exist socially in relation to others. Everyone defines him or herself and the world around them by marking the differences between observed phenomena. Fields are spheres of action in which practice takes place – the “organisation of social forces, with the producers of these field forces being individual agents and collections of agents, located in the relations between these agents (ibid p124). Fields are structured by power relations between and within human behaviour. Human behaviour can be understood by knowing the nature of the power relations in which the humans are taking part. Agents occupy positions – each position brings dispositions (habitus) and likely or potential courses of action for the agent. Doxa is the universe of tacit presuppositions that organise action in the field. In what ways is this distinct from habitus? They do not always agree though. They occupy positions aimed at conserving/transforming the field so some may change the doxa for their own benefit. In the struggle, agents will make use of their capital to impose the doxa that favour them the most. Rawolle and Lingard (2013) consider the importance of reflexivity and habitus in relation to social research; the ability of the researcher to understand their own positioning with regard to what is being researched and the field within which the research is situated. Bernstein and Young brought Bourdieu to prominence in the UK in the 1970s; establishing “alignment” (ibid, p121) in “Knowledge and Control” which became the new UK sociology of education in 70s. Here is a nice illustration of cleft habitus in this PG researcher’s account of her experiences as a mainland Chinese student working in HK. The two practical examples of using this framework are very helpful in demonstrating the theoretical tools Bourdieu has conceptualised. The first deals with research in the new Christian Academies (Green 2013) and through a Bourdieusian analysis of the shared beliefs of these schools as habitus; acts of symbolic violence explain the system of daily tutor prayers in the way that ….“the authorised interpretation of biblical text was secured”(Green p149). So regardless of the personal religious beliefs of the tutors involved, they used prepared and issued Biblical texts with questions to conduct these daily sessions. Further to this, in the act of accepting prescriptions of Biblical texts and prayers, tutors are complicit in acknowledging the power/effectiveness of those who “share the religious habitus” within the structure of the school. The religious habitus affected the cultural capital of students, but not in ways intended by the schools’ sponsors, in that it had no real relevance to their curriculum or lives beyond RE lessons. By examining the practices and beliefs within these academies with the tools of capital, habitus and symbolic violence Green claims to have broadened the reach of Bourdieu in educational research. The second example deals with capitals and parental influence in adolescent students’ educational choices. It gives a detailed account of the familial and cultural capitals which are at play in the discussions about future study within a case study of six Greek-Cypriot families. Kleanthous demonstrates how parental influence is “misrecognised” by students when they deny it in discussions of their future choices. The students see themselves as unaffected by their parents’ views or influence, but Kleanthous argues that the familial capital is used to “inculcate” the students’ habitus. There is also a clear theme of shared beliefs in the value of education – is this symbolic violence, doxa or habitus? In spite of my readings of the two chapters above which were not explicitly about class, in simplistic (and perhaps naïve) terms, I can really see how this approach would work well with any research concerned with social inequalities. Considering my own study, if I was concerned with the individual and collective social forces at play within PLCs, the relations between them and their relative positioning to each other as the work of a PLC is enacted in the field of practice this theoretical framework would perhaps help me to shed some light on the nature of the relationships and the structure of the field. Examining capitals may explain the reasons for certain agents bringing about more influence than others in the change processes which result in the work, but I suppose my worry would be that I’m not trying to find out who brings about change and how do they do it, I’m more concerned with what are the changes that may or may not be taking place, and what is enabling or inhibiting that process? So maybe it’s not the theory for me. GREEN, E., 2013. Research in the New Christian Academies: perspectives from Bourdieu. In: M. MURPHY, ed, Social Theory and Education research. 1 edn. Abingdon: Routledge, pp. 138-152. KLEANTHOUS, I., 2013. Bourdieu Applied: exploring perceived parental influence on adolescent students’ educational choices for studies in higher education. In: M. MURPHY, ed, Social Theory and Education Research. 1 edn. Abingdon: Routledge, pp. 153-168. RAWOLLE, S. and LINGARD, B., 2013. Bourdieu and educational research. In: M. MURPHY, ed, Social Theory and Education Research. 1 edn. Abingdon: Routledge, pp. 117-137. This entry was posted in PhD and tagged Bourdieu, social theories. Bookmark the permalink.